An authentic source of Middle East Businesses & consumers Data. A leading source of most accurate database for business leads. The system helps businesses to identify new customers & grow their sales. 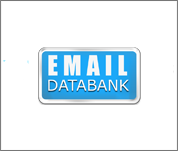 The system collects, analyze, categorize and archives millions of working email addresses. it is also capable of delivering scheduled newsletters ensuring to go in recipient's Inbox. Market leader in development of specialized application for Radio station enabling listeners & DJ's to interact with other in a very effective and user friendly way. Listeners can interact using social media & other famous IM's. Delivering the next generation technology in the field of advertising. The system transmits any type of content to Bluetooth enabled devices for advertising, marketing & alerting purpose. interact with customer at your spot. The world is changing all around us. We are looking ahead & understanding the trends to shape up our e-business to continue to thrive over the next ten years and beyond. That's what our 2020 Vision is all about. It creates a long-term destination for our business and provides us with a "Roadmap" for winning together with our partners.